Hannah provides a full range of notarial services and is available in the centre of Edinburgh at short notice. Drop in appointments are welcome between 9am and 5pm. 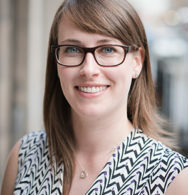 Hannah is a Solicitor and Notary Public who specialises in Private Client work; in particular, Wills, Powers of Attorney and Estate administration.